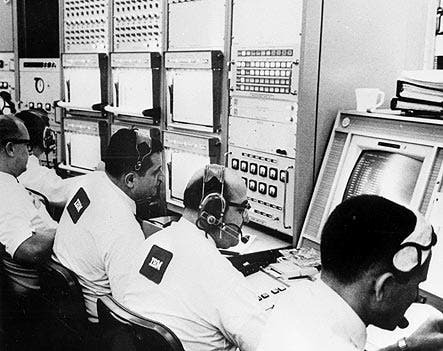 Image: NASA engineers operating IBM System/360 Model 75 mainframe computers. That’s the year man first set foot on the moon. It’s really difficult to imagine the technical challenges of landing on the moon more than five decades ago if you’re not a rocket scientist, but what’s certain is that computers played a fundamental role – even back then. 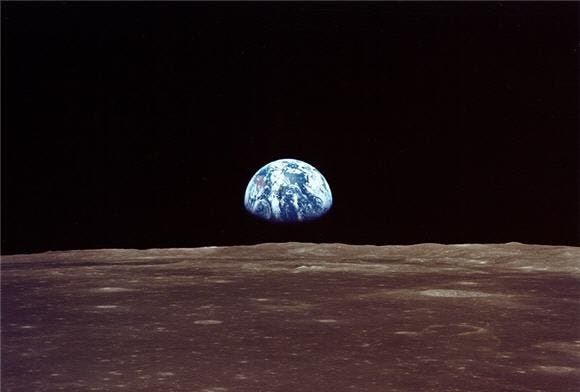 Despite the NASA computers were pitiful by today’s standards, they were proper enough to guide humans across 356,000 km of space from the Earth to the Moon and return them safely. 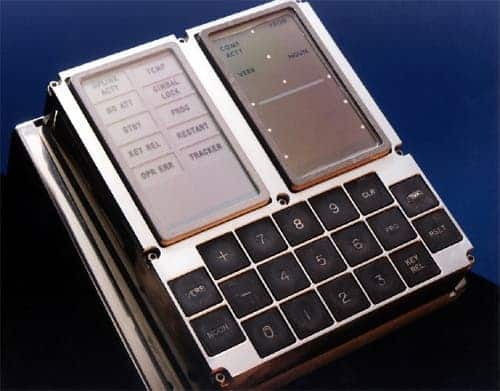 In fact, during the first Apollo missions critical safety and propulsion mechanisms controlled by the software were used for the first time, which formed the basis for modern computing. Essential to the lunar missions was a now ancient command module computer designed at MIT called Apollo Guidance Computer (AGC). The computer used an operating system which allowed astronauts to type in nouns and verbs that controlled their spaceship. To control the hardware, AGC had built-in machine code instructions using a compiler called Luminary. Here’s how some of the code for the computer looked like when it was used for Apollo 13 and 14. While it was handy, AGC wasn’t particularly powerful having 64Kbyte of memory and operating at 0.043MHz. In fact, it was less equipped than a modern toaster! Besides AGC, back on Earth at the Goddard Space Flight Center thousands of flight technicians and computer experts employed the IBM System/360 Model 75s mainframe computer to make independent computations and maintain communication between Earth and lunar landers. These computers cost $3.5 million a piece and were the size of a car. Each could perform several hundred thousand addition operations per second, and their total memory capacity was in the megabyte range. Programs were developed for the 75s that monitored the spacecraft’s environmental data and astronauts’ health, which were at the time the most complex software ever developed. Today, however, even a simple USB stick or WiFi router is more powerful, let alone an iPhone. The iPhone 6 uses an Apple-designed 64 bit Cortex A8 ARM architecture composed of approximately 1.6 billion transistors. It operates at 1.4 GHZ and can process instructions at a rate of approximately 1.2 instructions every cycle in each of its 2 cores. That’s 3.36 billion instructions per second. Put simply, the iPhone 6’s clock is 32,600 times faster than the best Apollo era computers and could perform instructions 120,000,000 times faster. You wouldn’t be wrong in saying an iPhone could be used to guide 120,000,000 Apollo era spacecraft to the moon, all at the same time. To be fair, these sort of comparisons aren’t very honorable. It’s like making a side by side comparison between the first airplanes designed by the Wright Brothers with an F-18 fighter. Sure, both could fly but the two are technologically speaking worlds apart. After all, the iPhone clearly beats even one of the most famous – and a lot more recent – supercomputer that ever existed: IBM’s 1997 Deep Blue supercomputer which beat Garry Kasparov in a historic chess showdown. With this in mind, one can only awe at the kind of computer power each of us holds at their finger tips. Nevermind we use them for frivolous matters. Imagine what you’ll be holding in your hand (or inside it) 20 years from now.